Check this out, an egg is now the official world record holder for most liked picture on Instagram. 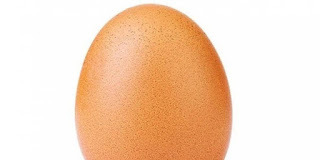 https://www.madaku.com/ 2019-01-23T15:08:00-08:00 2019-01-23T23:08:28Z Marcos K. Check this out, an egg is now the official world record holder for most liked picture on Instagram. Chances are, you already heard of it. If you didn't, then you are doing a great job at staying away from online social media. A new Instagram account posted a single image and broke the world record of most likes pic on the social media platform. Un huevo, yep. This new account created in early January, @word_record_egg posted a single image, captioning it: "Let’s set a world record together and get the most liked post on Instagram. Beating the current world record held by Kylie Jenner (18 million)! " Nothing out of this world ah? a simple caption, sparking a humorous competition on social media. Well, this single image traveled the world and now just won the record, it surpassed the last number by a lot, and I mean A LOT. The egg image has over 50 million likes and almost 3 million comments! Social media is still the strongest and fastest way to spread the word. Online audiences are open to bond with characters online and humor appears to be the best way to go. You can still see the aftermath of this event that happened fairly quickly. Kylie Jenner killed an egg on revenge, egg memes are everywhere and our new instagram friend has now posted two new pics(again, with millions of likes). By the looks of it, the egg is hatching. What is inside? Escrito por Marcos K. en la fecha de January 23, 2019.